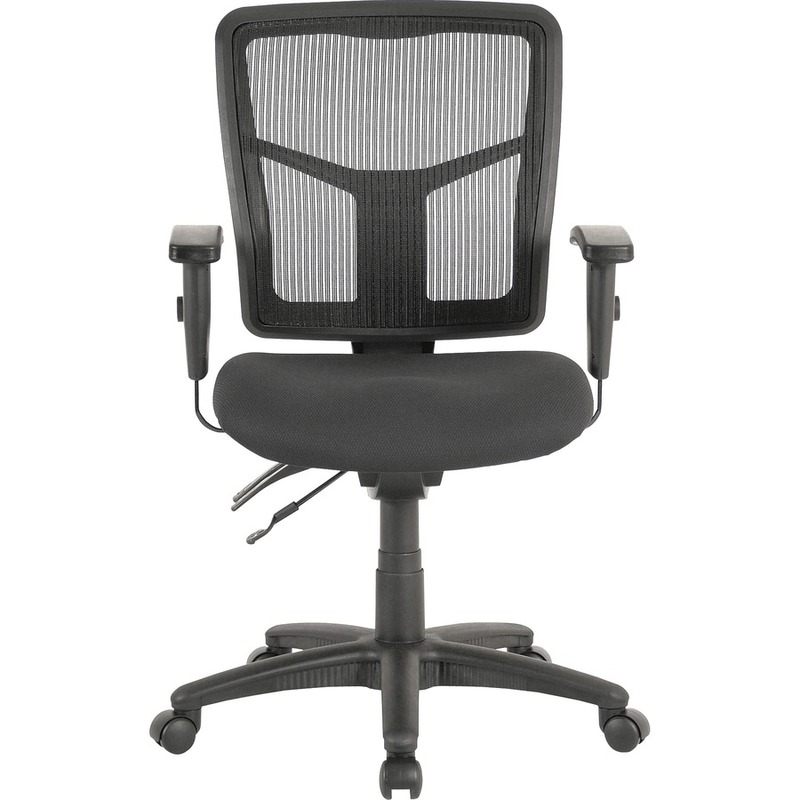 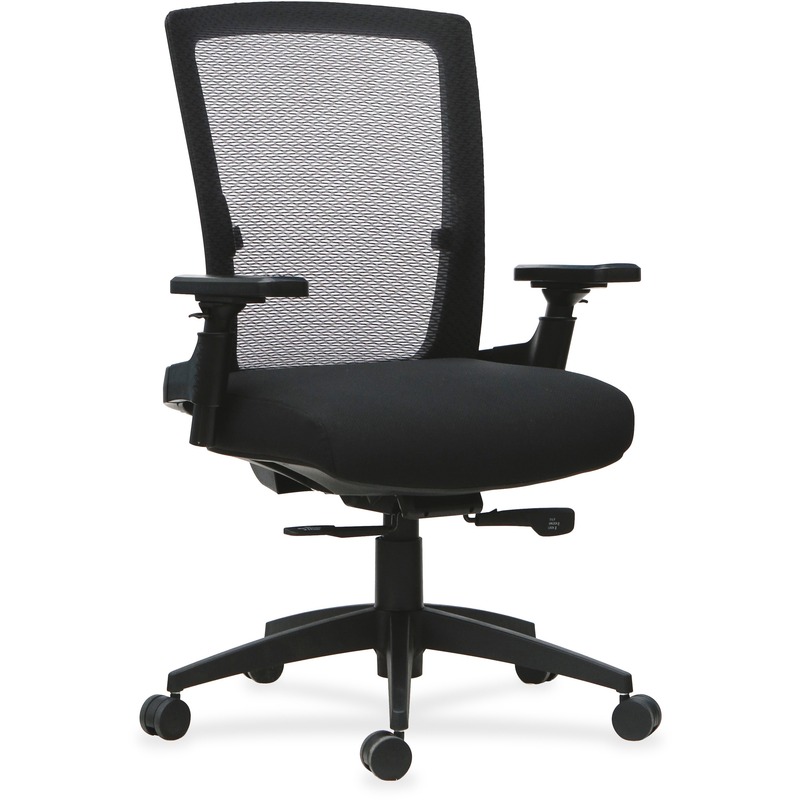 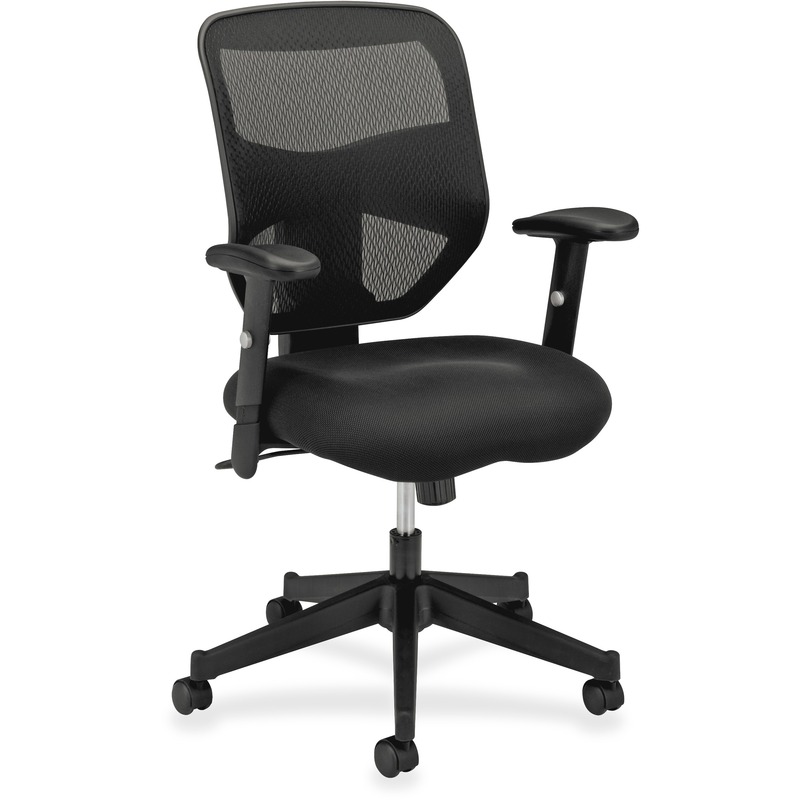 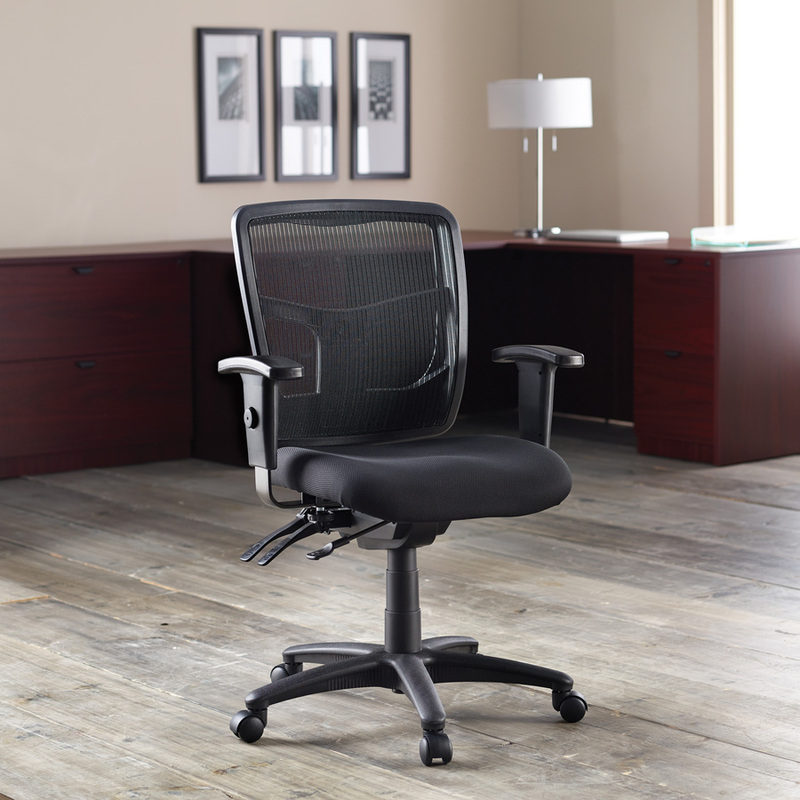 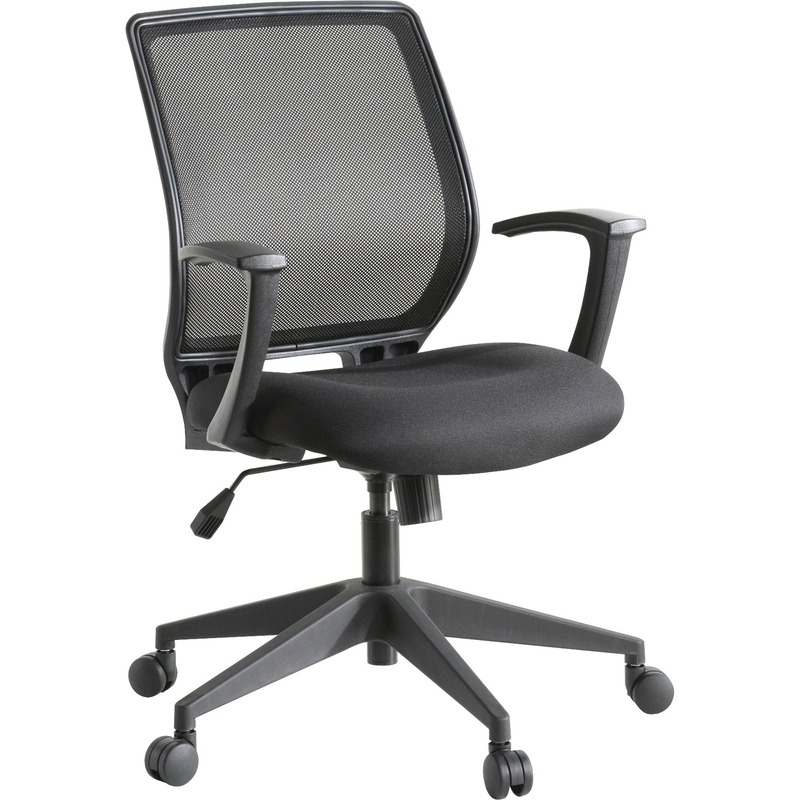 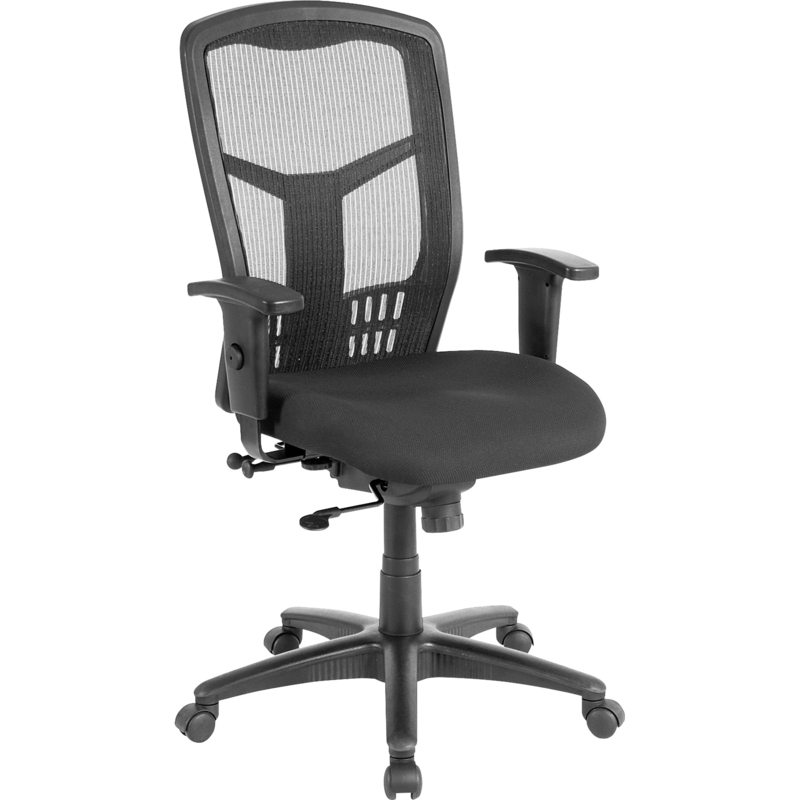 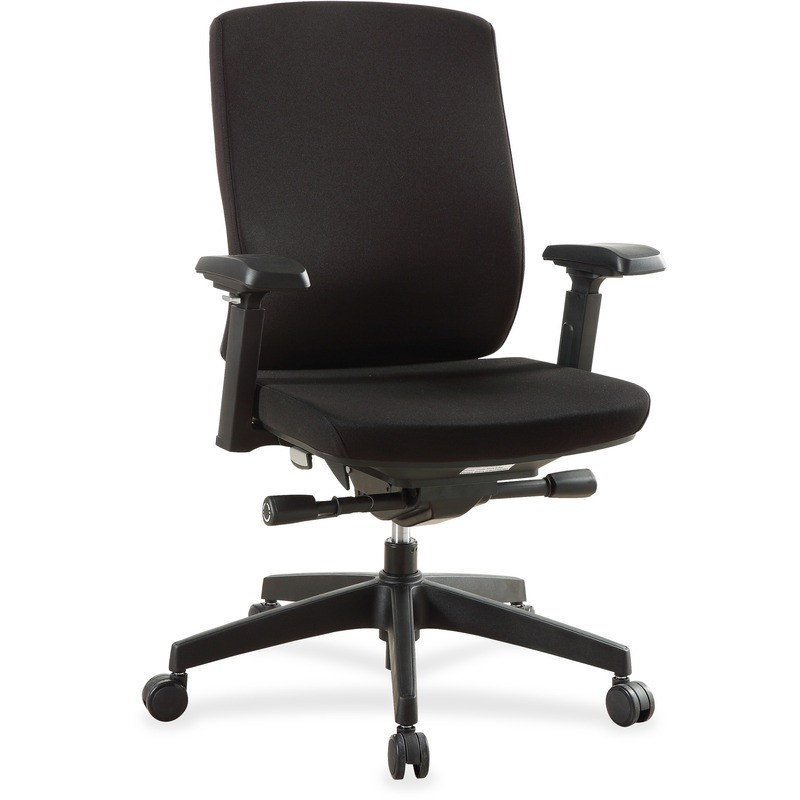 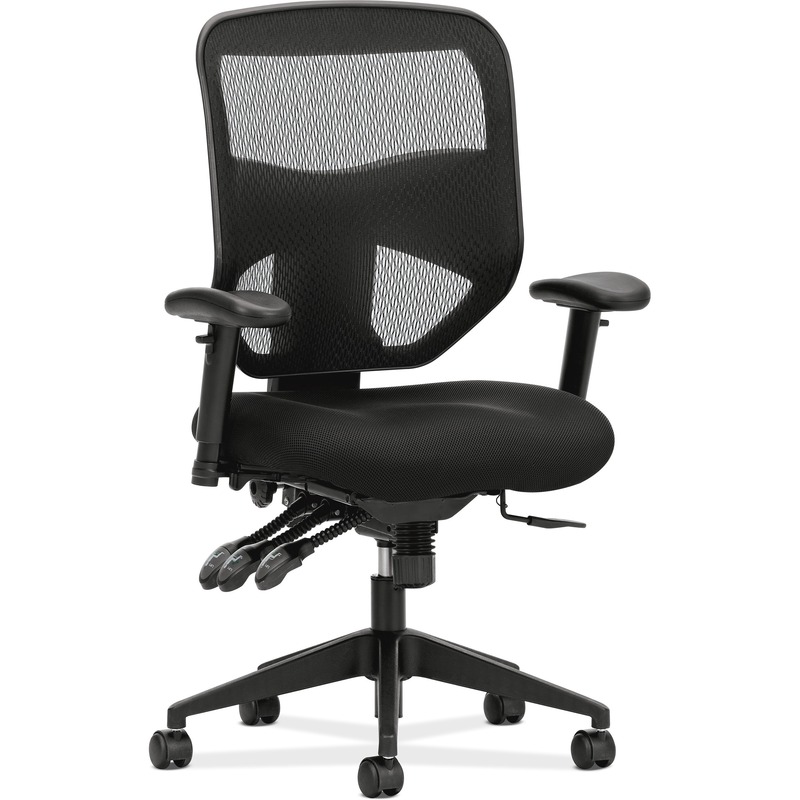 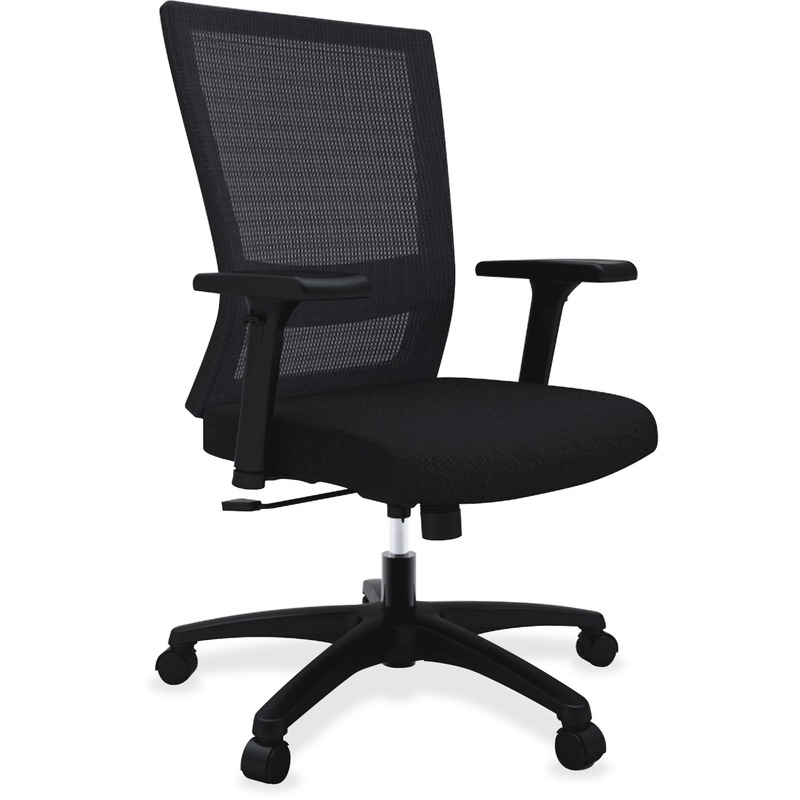 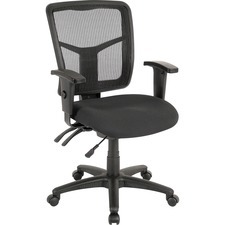 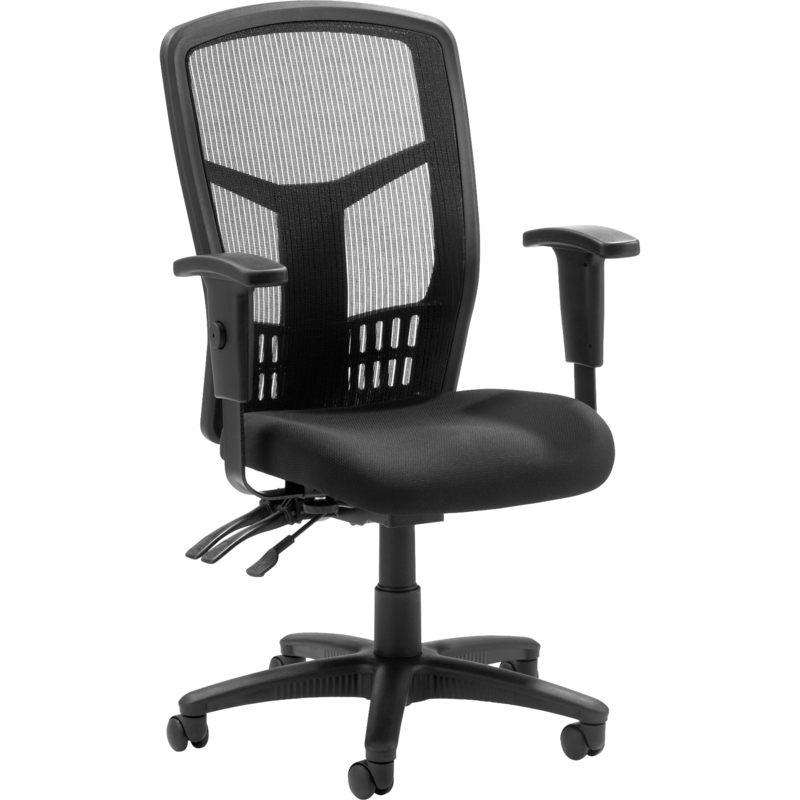 Managerial mid-back chair features a mesh back and mesh fabric seat. 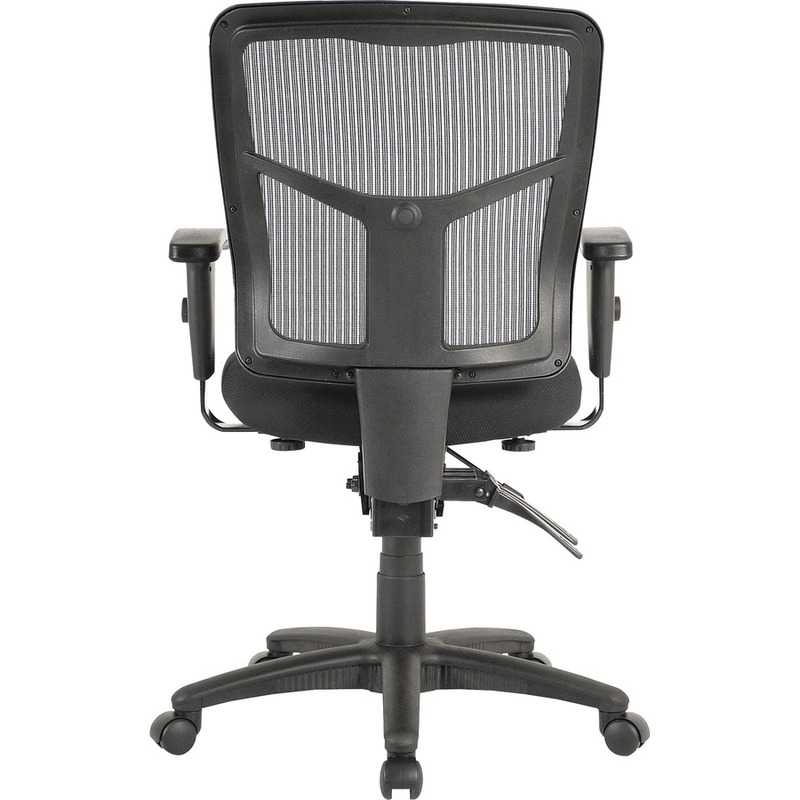 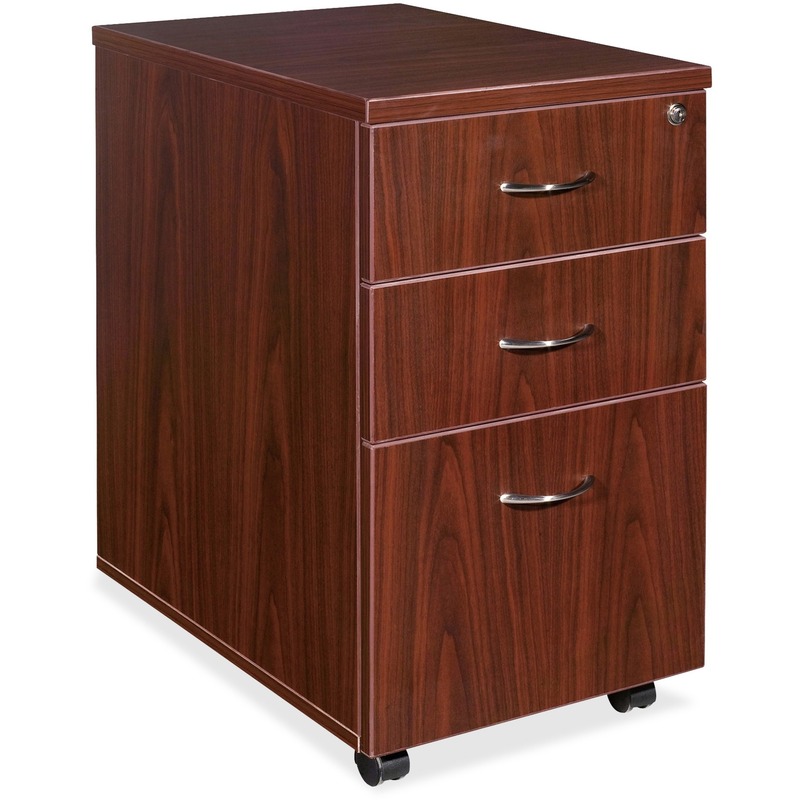 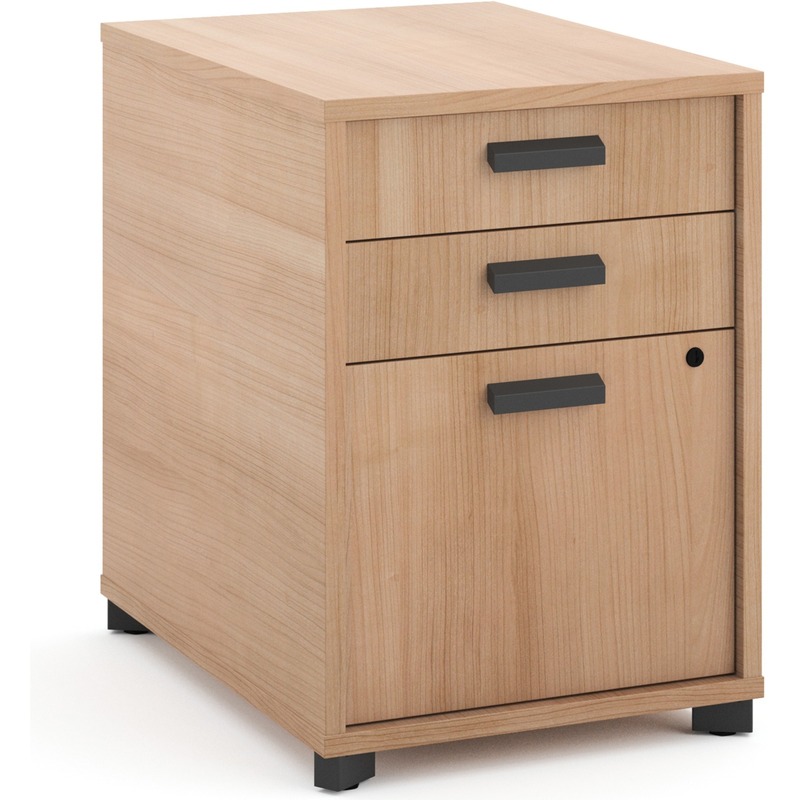 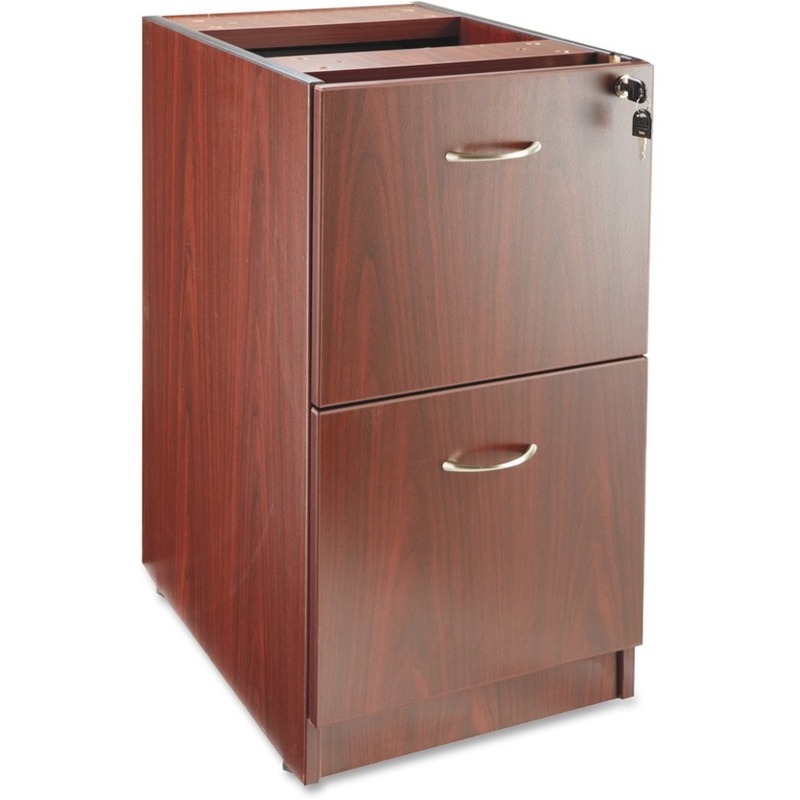 Ergonomically designed mid-back matches the natural curvature of a person's back. 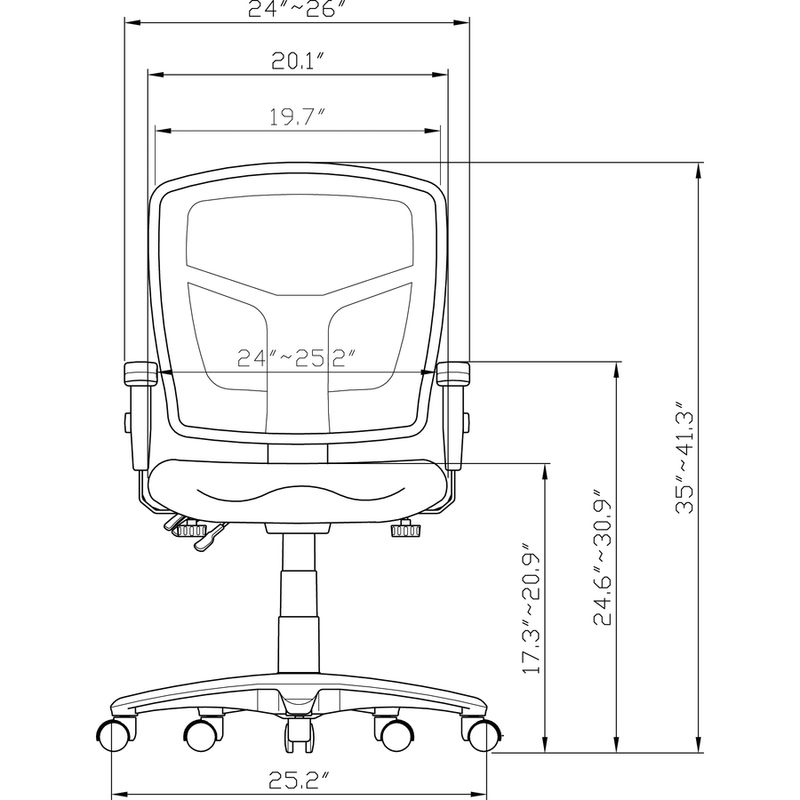 Arms adjust in height and width. 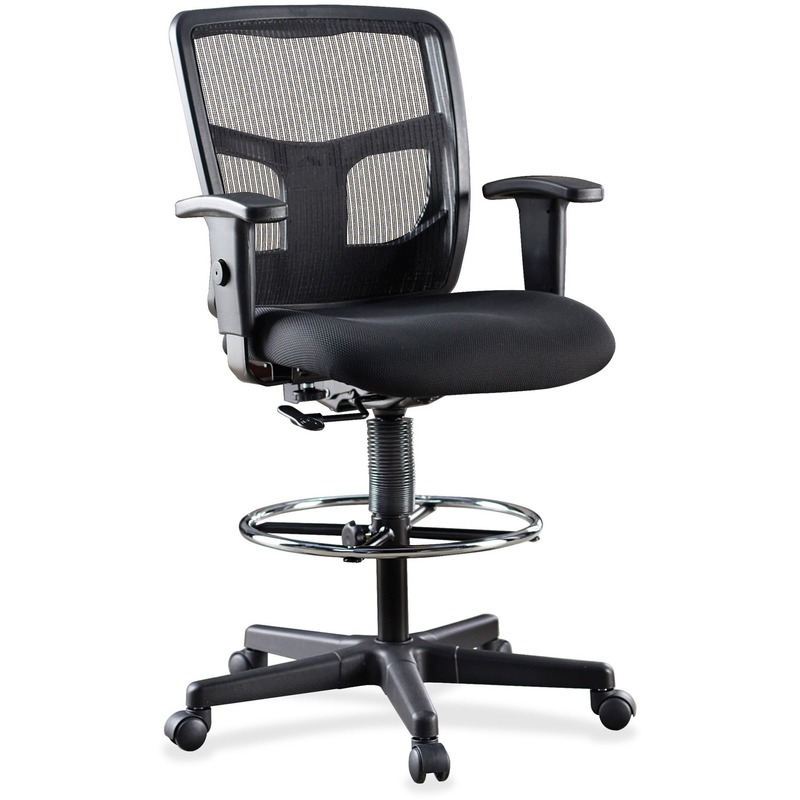 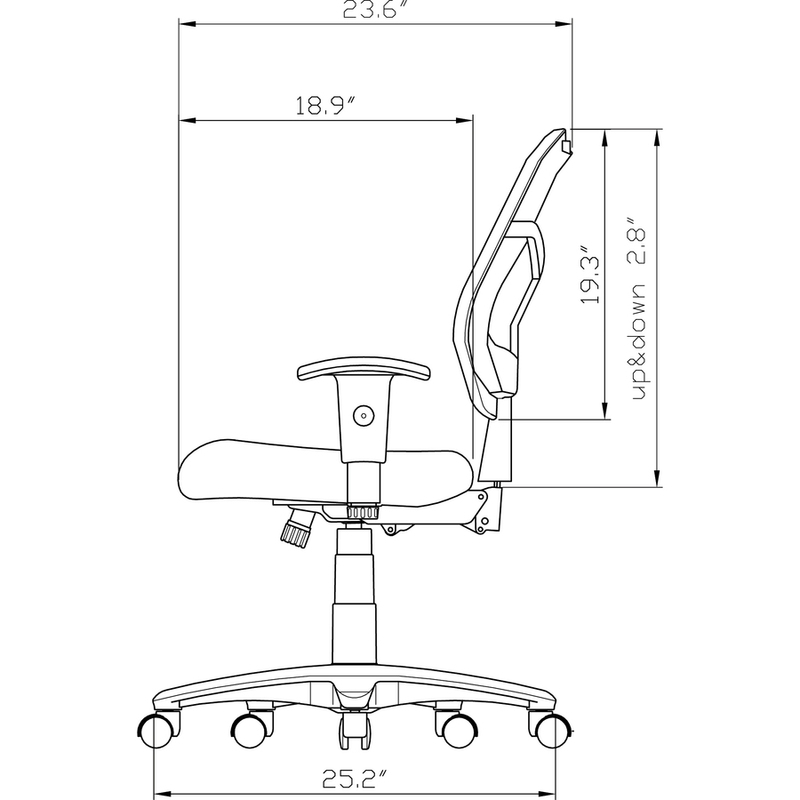 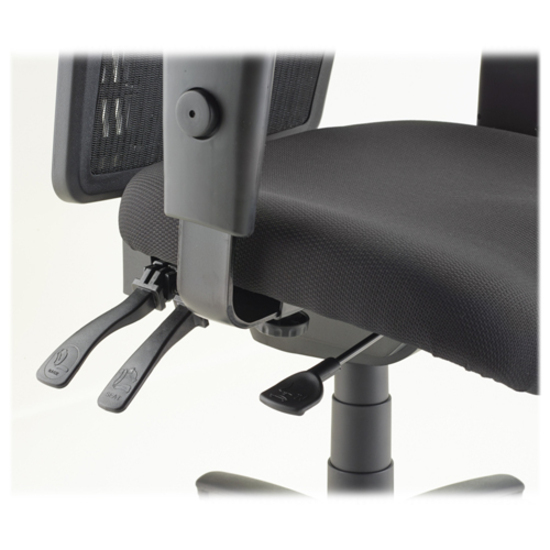 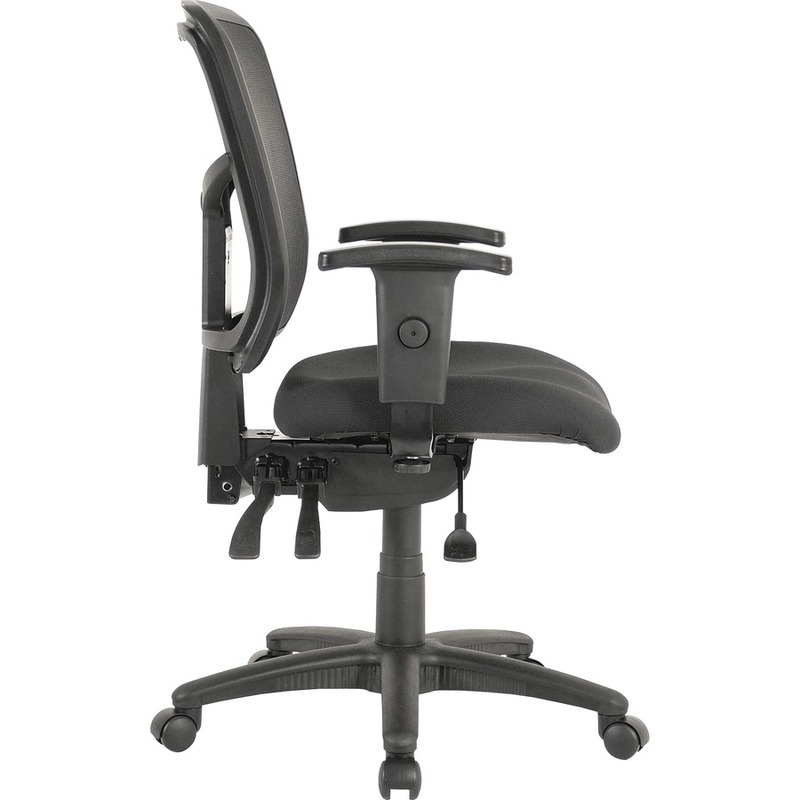 Mid-back chair also offers a five-star nylon base, pneumatic seat-height adjustment (17" to 21" high from the floor), 360-degree swivel, back-height adjustment, tilt and asynchronous three-lever control. 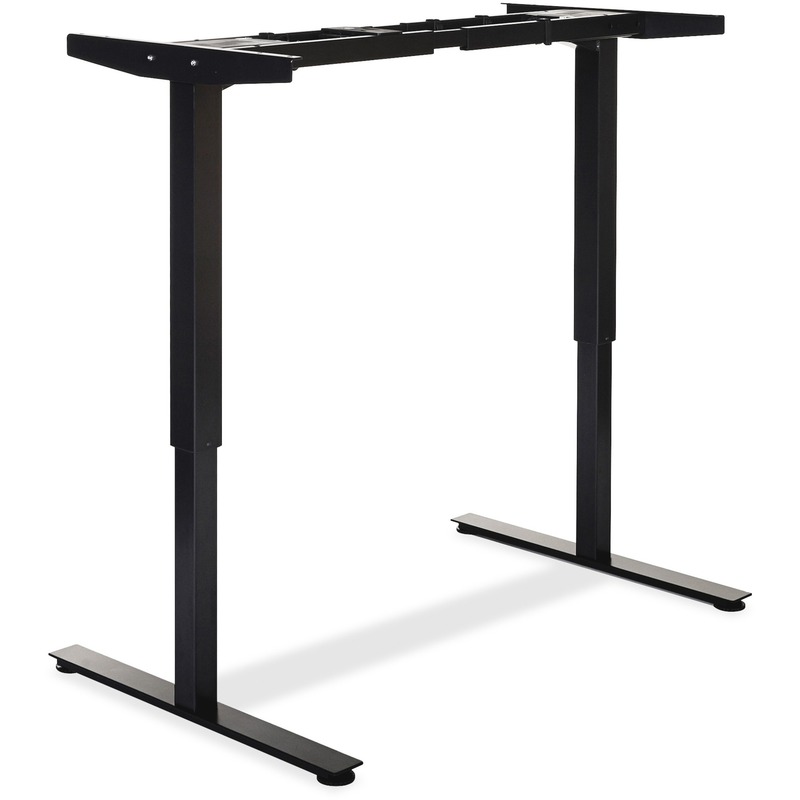 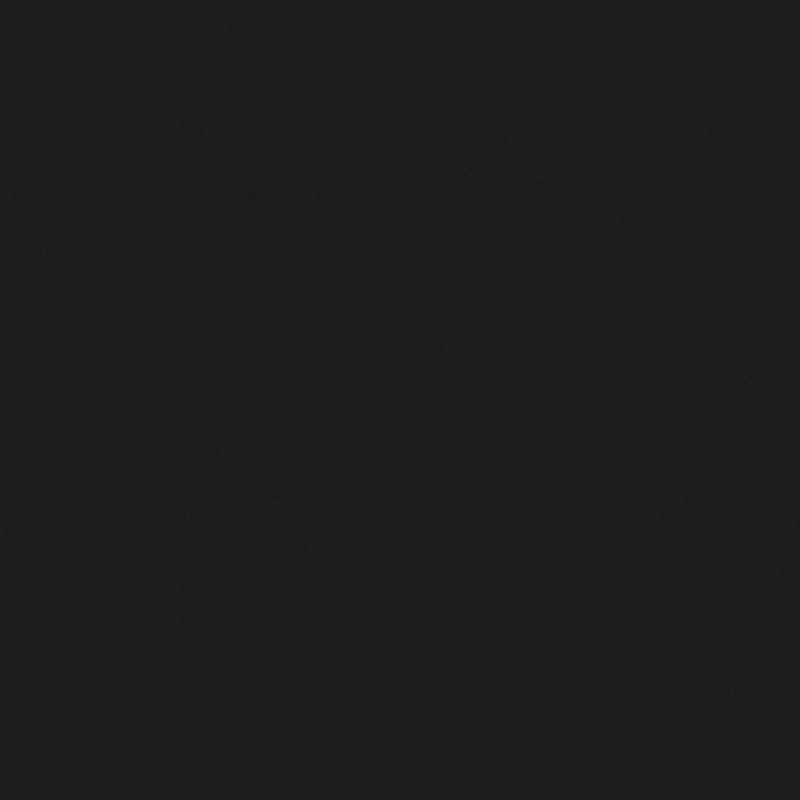 Frame is available in black only. 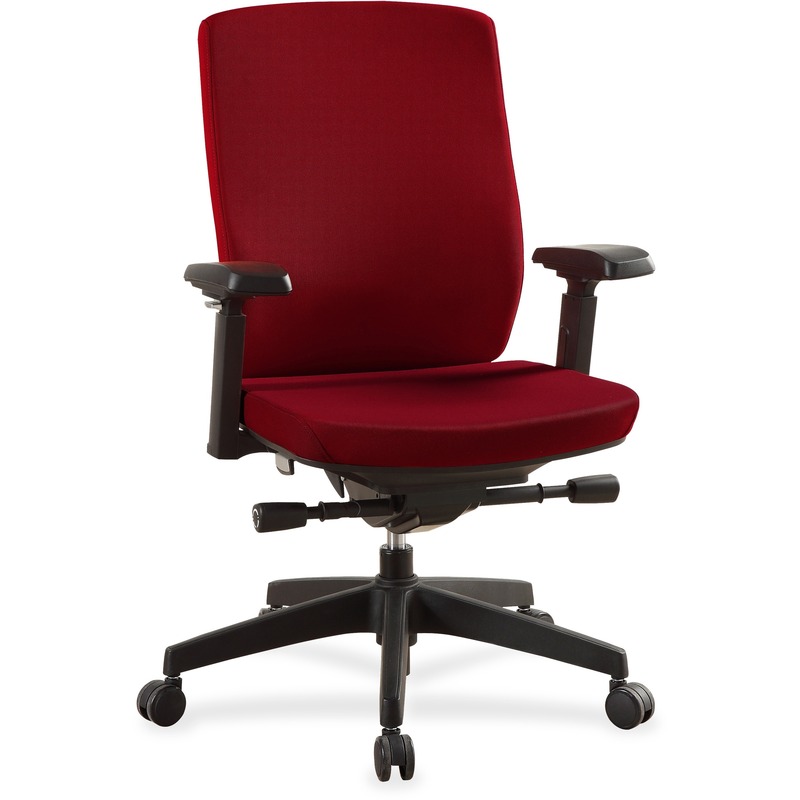 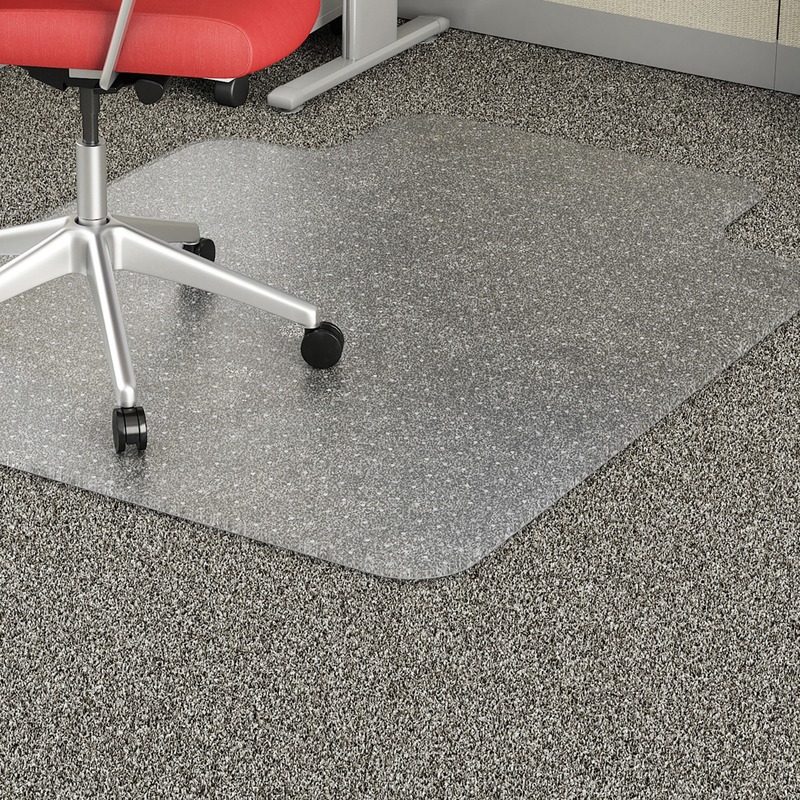 Chair meets the CA117 fire-retardant standard and offers an abrasion rating of 60,000 double rubs (ASTM-D-4175). 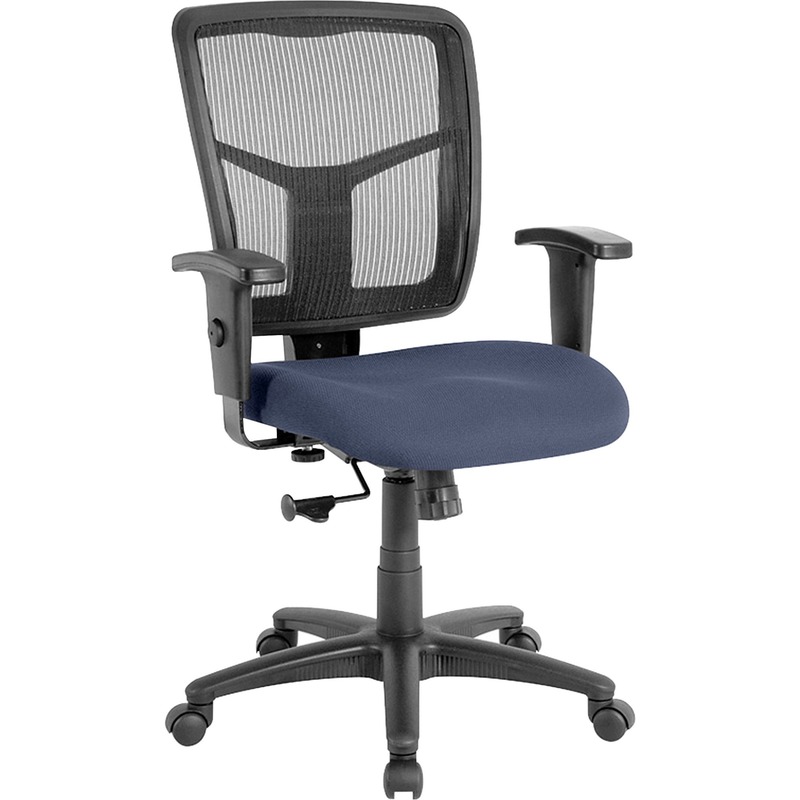 Lorell Managerial Mesh Mid-back Chair - Fabric Seat - Black Frame - 5-star Base - Blue, Ocean - 20" Seat Width x 18.70" Seat Depth - 25.3" Width x 23. Lorell Managerial Mesh Mid-back Chair - Fabric Seat - Black Frame - 5-star Base - Buff, Beige - 20" Seat Width x 18.70" Seat Depth - 25.3" Width x 23. 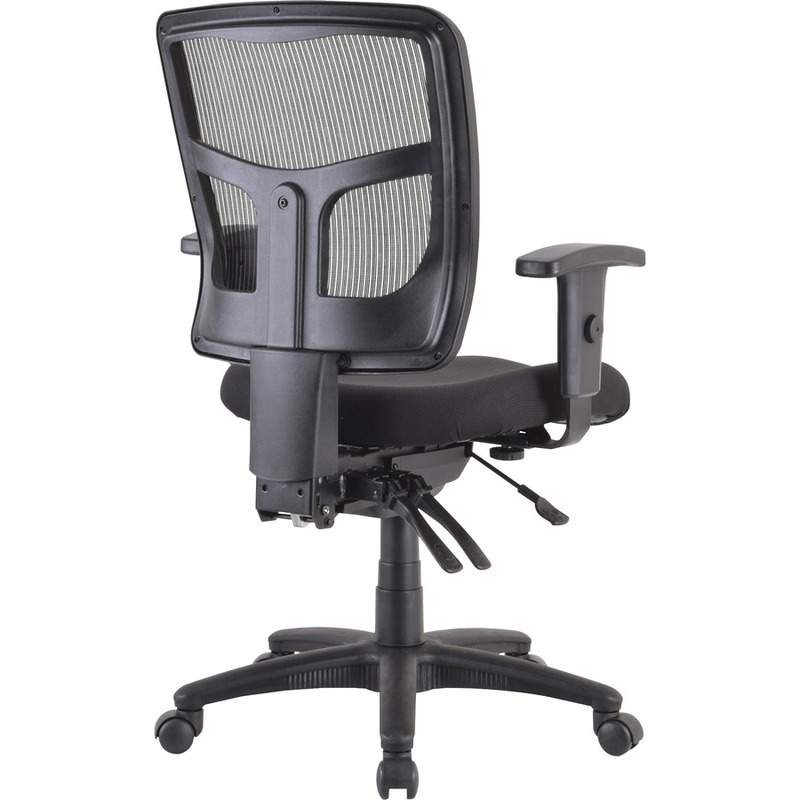 Lorell Ratchet Back Mesh Mid-Back Stool - Fabric Black Seat - Black Back - 5-star Base - Black - 20" Seat Width x 18.70" Seat Depth - 26" Width x 21"